The scene of the shooting. Picture: Twitter/Dakarai Turner. POLICE are at the scene of another school shooting in the US. There are reports that at least three students have been shot at Chatham Academy Charter High School (CACH). 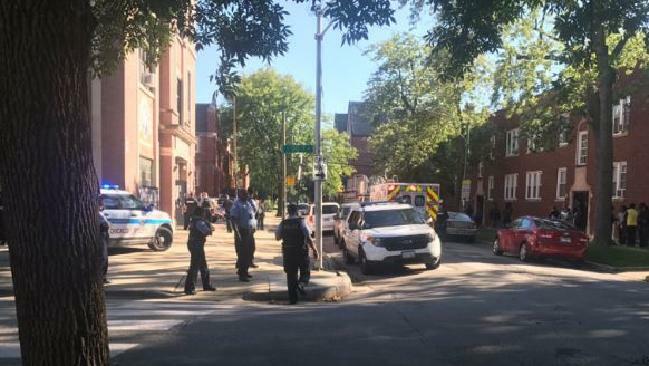 At least one of the injured is aged 18-19, Chicago Fox 23 reporter Dakarai Turner reports. "Students are accepted based on their commitment to earn a high school diploma" their website says.